At Oak Tree Brides we specialise in designer sample wedding dresses with up to 80% off RRP. 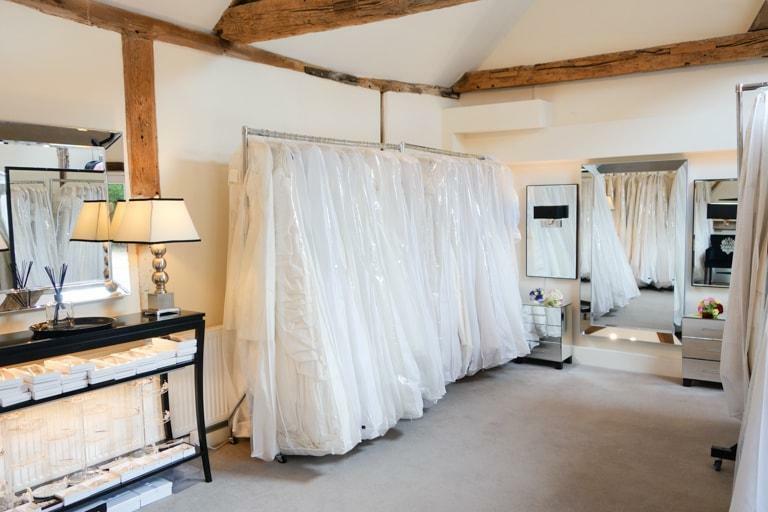 Book an appointment to try on some beautiful wedding dresses in our idyllic converted barn near Reading. At Oak Tree Brides we specialise in sample wedding dresses by leading bridalwear designers. Our aim is to allow every bride to have their dream designer bridal gown at an affordable price. We have many beautiful wedding dresses from designers such as Ian Stuart, Maggie Sottero, Enzoani, Essense of Australia, Mori Lee, Ellis Bridals, Ronald Joyce and more. We also have a selection of bridal accessories available including veils, petticoats, tiaras, hairpins, shrugs, sashes and belts to complete your look. Select your dress size from the Wedding Dresses menu above, find a dress you like and book an Appointment. 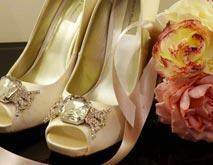 At Oak Tree Brides we specialise in sample wedding dresses by leading bridalwear designers in our studio near Reading. Our aim is to allow every bride to have their dream designer bridal gown at an affordable price. We have many sample wedding dresses from designers such as Ian Stuart, Maggie Sottero, Enzoani, Mori Lee,Ellis Bridals, Ronald Joyce and other wedding dress designers. We also have a selection of bridal accessories available including veils, petticoats, tiaras, hairpins, shrugs, sashes and belts to complete your look. Select your dress size from the Wedding Dresses menu above, find a dress you like and book an Appointment. Oak Tree Brides offers the perfect solution for brides who wish to stick to a budget or are in need of their wedding dress quickly and off the peg. Our prices range from £250 and all wedding dresses are in stock so there is no need to wait months for your dress to arrive, you could take it home today! Also take a look at our sale rail for wedding dresses under £300 We have over 100 sample wedding dresses in stock and many immaculate second hand wedding dresses. Come and try on the bridal gowns in a friendly and relaxed environment with a personal, one-to-one service in our wedding studio located in Heckfield, near Reading. We are easily accessible from Reading, Newbury, Maidenhead, Slough, Oxford, Basingstoke, Bracknell and Wokingham areas. We accept all major credit and debit cards to make your purchase.